Given the sharp depreciation in the Ukrainian national currency, the medicines market has been set back in nominal US-dollar terms by 5 years. However, the market is demonstrating significant growth in Ukrainian hryvnya terms. Basically, domestic pharmaceutical producers increased their share of the retail medicines market. As a result, we now observe a stepping up in promotion and advertising to facilitate growth in sales. At the same time, public demand for lower-cost treatment is obviously not a fundamental advantage for sustainable growth. Foreign market players appear to react and compete with a new range, innovation capacities and a socially responsible approach towards business. The end of 2016 became the turning point for the healthcare reform after the government approved its funding concept. The concept revolves around the future National Healthcare Service of Ukraine (NHSU), which will purchase medical services in the amount guaranteed by the state, paying directly to clinics or doctor entrepreneurs per patient (or under the system of diagnosis-related groups (DRG) at secondary level). The process will use a database on patients, their doctors and treatment, allowing for instant exchange of information between all parties and cutting down on paperwork. 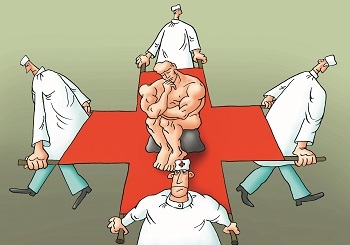 After the reform, the Ukrainian healthcare market will adhere to the doctrines of “patients equal money”, “free choice of doctors”, “accessible and comprehensive medical treatment” and “higher efficiency”. We’ll see how those precepts will actually work in the new environment. At the beginning of 2017 our company ran a survey among clients, mostly international pharmaceutical companies and their representative offices in Ukraine, to define the main challenges of the pharmaceutical market in Ukraine of 2016. As a result, the current economic situation, low level of consumers paying capacity, currency risks, corruption and instability of the law were specified as the biggest threats on the pharmaceutical market. Basically, the last one will be the object of this article. 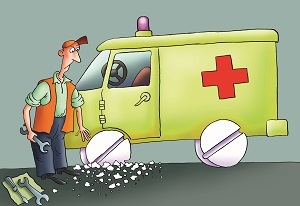 Pharmaceutical regulatory has probably been the shakiest legal field of recent times. At the end of 2016 key players of the pharmaceutical market, professional organizations and state authorities were challenged by a new piece of adopted legislation regarding the new mechanism of the state regulation of prices and implementation of the reimbursement of medicines. The Pharma business has historically been on the radar of the antitrust authorities. Although free competition plays crucial role in ensuring that patients receive better products at affordable prices, the industry is heavily regulated across the world. This is explained, according to the WHO, amongst other things, “by serious consequences, including injury or death, which can result from the lack or misuse of medications and by impossibility for the patient to determine product quality”. Still, freedom of market behavior should not be limited beyond what is absolutely necessary to protect the public interest and policy makers need to aim for ideal balance in this regard. It is crucial for the rapidly developing pharmaceutical market to comply with competition law requirements. Currently, the European Commission and national competition authorities are actively examining pharmaceutical markets for their compliance with competition rules. Effective competition on the pharmaceutical market is one of the priority goals of the Antimonopoly Committee of Ukraine. In 2016, the AMCU adopted a number of decisions on violation of legislation on protection of economic competition by international pharmaceutical manufacturers and distributors. As a result, in November 2016 the AMCU issued a report on the results of the pharmaceutical market study, which highlights the main grey zones on pharmaceutical market and directions for the competition strengthening. Moreover, the AMCU’s officials announced that the study into the pharmaceutical market continues in 2017. Automated Systems Holdings Limited acquired Grid Dynamics Inc.
On 8 February The U.S. Chamber of Commerce released the fifth edition of International IP Index “The Roots of Innovation”. 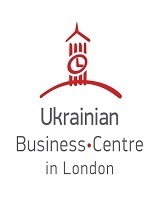 The American Chamber of Commerce in Ukraine believes that this publication is extremely timely, as it shows that countries of every region, size, and income level are increasingly investing in IP infrastructure as a tool for development, a stimulus for jobs and economic growth, a catalyst for domestic innovation and creativity. On 17 February 2017 the official opening of the Tomorrow’s Lawyer program took place. It is the first nationwide professional development program for lawyers. The aim of the program, its implementation methods and the key elements were revealed to the public. Participants of the program had the opportunity to meet each other and the developers, trainers and experts of the training course and learn about the experience of cooperation between the legal communities of Ukraine and Canada in the field of professional development. The Ukrainian Bar Association Committees on Agricultural Law and Real Estate & Construction Law held a meeting on 23 February dedicated to recent legislative initiatives in the sphere of agricultural land turnover. Ukrainian regulators are undergoing a challenging period of pushing reforms from inside out and developing an enforcement culture. The country’s competition authority has become more transparent in its activities and many groundbreaking and long-expected changes are being launched. The pharmaceutical market is a subject of precise attention of the competition authorities worldwide, and Ukraine is no exception. Meanwhile, law firms practising antitrust and competition are becoming more industry-focused, and the pharmaceutical business seeks antitrust compliance solutions with due account of the sector specifics and global enforcement trends in this area. The dynamic Ukrainian outfit Redcliffe Partners has strengthened its competition practice team with ambitious dedicated practitioners. We’ve met the recently assembled team consisting of Anastasia Usova, counsel, and associates Yulia Eismont and Kateryna Chumak, to find out their practice development plans and share views on antitrust enforcement in the pharmaceutical sector both in Ukraine and globally. Every driver likely knows about the compulsory insurance of their civil liability. 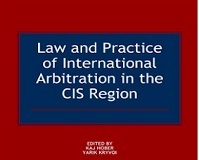 According to the Law of Ukraine No. 1961-IV of 1 July 2004 On Compulsory Insurance of Civil Liability of Owners of Land Vehicles (hereinafter — the Law), in particular the damage caused to the victim in an accident, including reimbursement caused by medical treatment, temporary disability, permanent loss of working ability of a third injured person, compensation for moral damage, that may consist of physical pain and suffering that a victim, an individual, obtained due to injury or other health damages, as well as compensation in case of the death, is refundable. In connection with the treatment of a victim the reasonable costs related to delivery, placement, diagnosis, treatment and rehabilitation of the victim, medical care and treatment at home, buying medicines shall be reimbursed. And the expenses must be documented. 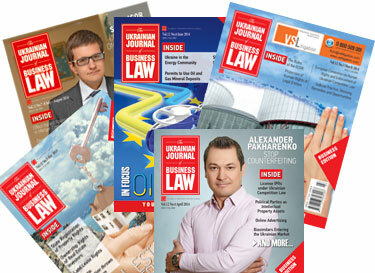 During the last month the UJBL editorial team has monitored recently adopted legislation and new initiatives. This month we asked for comment on draft laws on Amending the Criminal Procedural Code of Ukraine, On Anti-corruption Courts, a portion of changes to corporate legislation. We have examined the Intergovernmental Agreement On tax requirements for foreign accounts (FATCA) between Ukraine and the USA, and the recently ratified Agreement on Cooperation between Ukraine and Eurojust.